Could this match happen at WrestleMania? With Survivor Series now over and Royal Rumble approaching fast, it’s that time of the year once more when we start predicting all the possible combination of matches which may shape up the card for WrestleMania. Since WWE likes to go all out with its most prestigious event of the year, this year will be no exception as seeds for potential clashes and mega-matches are being sown, and rumors and speculations have started to run wild. With that said, while the card may end up entirely different than this, here’s an early prediction of some of the feature matches we most likely will see at WrestleMania come April 2019. 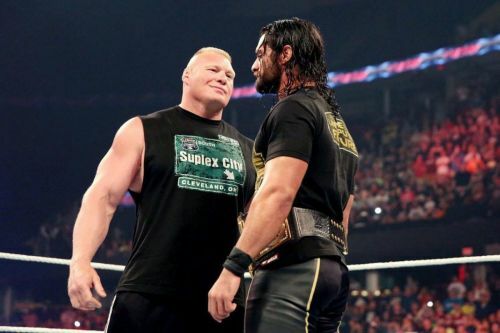 Kicking things off with the most recent plans surfacing the dirt sheets, it was reported by Dave Meltzer in his Wrestling Observer Newsletter a few weeks ago that the current plan is to have the current WWE Intercontinental Champion, Seth Rollins, go up against the WWE Universal Champion Brock Lesnar, at The Show of Shows. While it was never confirmed whether both will be champions by that time or not, it’s safe to say that Rollins will likely drop his IC title to Dean Ambrose in the coming weeks (possibly at TLC this month). The news, if true, also confirms several other things. 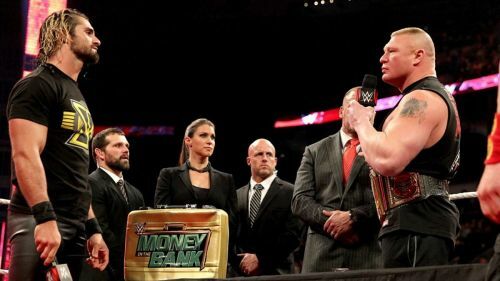 For starters, Lesnar is going nowhere (at least for the time being). In addition, it sets up Braun Strowman to lose yet another high profile match at the Royal Rumble (if he’s back on time) considering that Rollins will most likely challenge Lesnar for the Universal title. 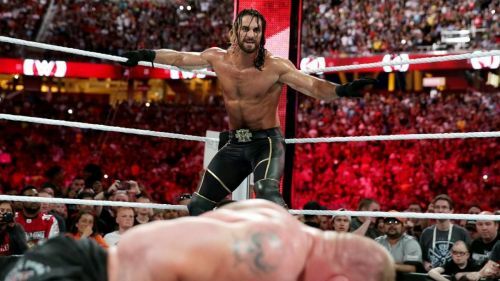 Last but not the least, it puts Rollins as the front-runner to win the 2019 Royal Rumble match. For Rollins, 2018 was one of the best in-ring years any superstar has had in the WWE, starting from his cracking performance in the RAW gauntlet, his WrestleMania match against The Miz and Finn Balor, to the series of matches against Dolph Ziggler and most recently with Shinsuke Nakamura. If there’s anyone who has earned the spotlight coming their way this year, it’s Seth Rollins. Besides how many more times do we need to sit through more painfully awful Lesnar matches against either Strowman or Roman Reigns (prayers with him). The RAW main event scene needs a drastic boost of energy and The Architect is the perfect man for the job.